Clenz-a-dent Water Additive or Mouth Rinse is a palatable and refreshing solution that contains RF2® which helps inhibit the growth of bacteria that leads to bad breath. 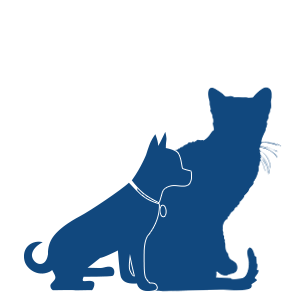 Clenz-a-dent Water Additive or Mouth Rinse has a sweet mint flavor that makes it palatable to both dogs and cats. This product includes RF2® Dental Biofilm Control. Bottle of 250 ml (8.4 fl. oz.) with measuring cup and spray nozzle. Add 5 ml (0.17 fl. oz.) of Clenz-a-dent Water Additive or Mouth Rinse to 475 ml (2 cups) of fresh drinking water daily. Change water every day even if all has not been consumed. Add 10 ml (0.34 fl. oz.) of Clenz-a-dent Water Additive or Mouth Rinse to 950 ml (4 cups) of fresh drinking water daily. Change the water every day even if all has not been consumed. 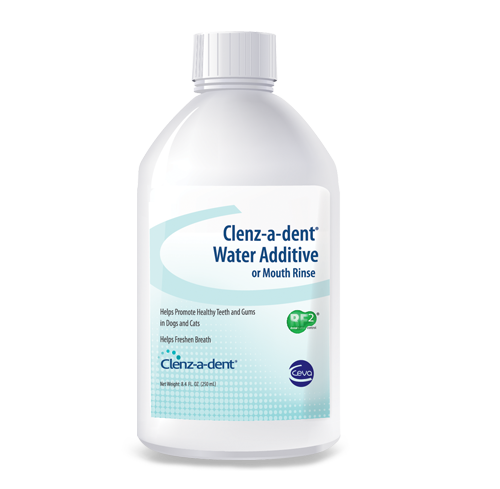 Clenz-a-dent RF2 Water Additive or Mouth Rinse can be used in a protocol with other Clenz-a-dent products to help support oral health. 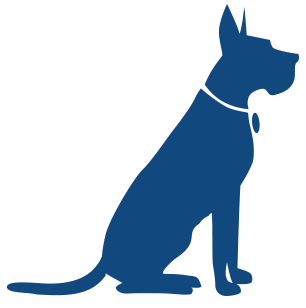 Veterinarian recommendations should be observed. Purified Water, Sorbitol, Propylene Glycol, Glycerin, Rhubarb Root (Rheum Spp. ), Methylparaben, Propylparaben. DOES NOT CONTAIN XYLITOL.